A hybrid, multi-cloud environment offers the advantages of high resiliency combined with the agility to adapt quickly to changing digital business requirements. In one recent analysis, 86% of surveyed organizations stated that they had already adopted a multi-cloud strategy. Tempering the advantages of such a strategy, however, are a number of related security concerns. For example, if migrating to one cloud environment expands the attack surface, multiple clouds magnify it even further. Organizations need to consider how to scale protection to accommodate issues like growth, as well as how to consistently track and secure workloads that span multiple cloud environments. Segmentation. When workloads are distributed across multiple clouds, threats can likewise be readily propagated. In traditional networks, IT teams use segmentation as a best practice for containing threats. In a multi-cloud environment, the challenge of containing threats is compounded by the need to consistently segment applications, workflows, and data even as they move across private, IaaS, and SaaS cloud environment.. But as data and applications—and in turn, attack vectors—flow across different cloud environments, the ability to apply segmentation best practices is limited using traditional network segmentation practices. It instead becomes critical to employ consistent tagging and labeling practices that will help in both applying consistent security policies, as well as potentially identifying and responding to threats when and where they occur. Furthermore, the ability to trace those threats back to their origin to assess the scope of damage and to mitigate risk and vulnerabilities as close to the root cause as possible become more realistic when employing consistent asset labeling techniques. Visibility. Visibility is another of the fundamental concerns in a multi-cloud reality. Securing today's rapidly changing and high-performance environment requires continually assessing the security of the organization's IT portfolio in its entirety. While IT teams may have visibility into each cloud network through cloud-specific tools, they usually cannot detect or correlate threats across multiple cloud environments, nor can they immediately assess the impact of a threat to one cloud resource or another. They are also challenged to deploy consistent security functionality and policy enforcement across a variety of often very different ecosystems. Integration. Part of the challenge is that most multi-cloud environments resemble a mesh network, which makes it hard to reach into every cloud environment simultaneously to detect and respond to threats. Therefore, the need for deep integration across security functions and centralized management increases, as it is virtually impossible to identify many of today’s more sophisticated threats, let alone coordinate an effective response without those capabilities in place. And given the speed of today’s attacks, response time requirements are high, which means organizations also need tools to alleviate the need of spending hours matching and aggregating data from different cloud management portals or comparing signals from different clouds and to understand the attack before deciding on appropriate actions. The biggest issue organizations face when attempting to secure a multi cloud infrastructure is establishing consistent management and enforcement of security policies. Single pane of glass management systems that control security functions across different cloud environments are needed in order to provide deep visibility, integrated event correlation, centralized policy management, and consistent controls and response. To achieve this, native integration into cloud platforms is essential. The selected products must be designed to operate natively in each cloud environment being used to support business operations, as well as to offer APIs that can simplify the development of security operations workflows in conjunction with application lifecycle management workflows. In turn, as these security products are natively integrated into each cloud infrastructure, and since they need to operate under a single management system, the products inevitably build a layer of abstraction in order to operate consistently across different cloud environments. Otherwise, policies can get implemented differently across different environments, which can then present huge operational challenges, and in turn, enable threats to thrive in the resulting security gaps. 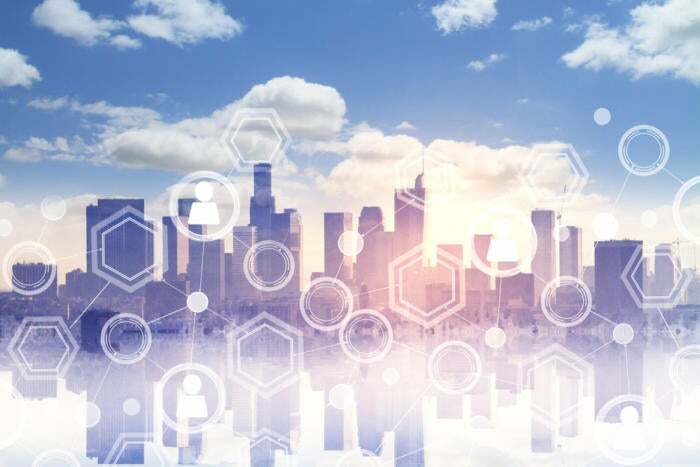 In order to properly address the multi-cloud security challenge, then, secure connectivity must be implemented in a manner that complies with the segmentation and visibility guidelines previously outlined. Multi-cloud security solutions must support both site-to-site as well as remote access VPN capabilities to secure selective or temporary access to resources as needed. The requirements become more demanding when aggregating connectivity from mobile devices and next-gen branch offices, as they need to access sensitive resources remotely, and to do that often leverage the cloud VPN concentration point as a secure internet access hub. The ongoing operations associated with migrating data, accessing large data sets from around the globe, implementing complex workflows, deploying customizable applications, and leveraging third-party cloud-based analytics services all require secure connections to external networks, as well as the means to easily manage and optimize this connectivity across ever-changing requirements. Any competent multi-cloud security solution, therefore, must be able to provide an integrated set of secure network connectivity capabilities. Meeting the security challenges of the cloud, especially multi-cloud, requires a holistic approach that puts control back into the hands of the corporate security team. Here are three of the most crucial elements when planning any multi-cloud security strategy. Security functionality and enforcement need to operate the same regardless of the environments in which they have been deployed. To do this, the ability to define and classify information and workloads must comply with each of the various cloud infrastructures being used, while security functionality must be similarly delivered over each cloud infrastructure. Security solutions under consideration must not only be able to apply consistent enforcement and controls across clouds, but do so with the same proven features and functions used to protect the traditional network. These products also need to be managed and orchestrated from within the enterprise through a single pane of glass, as well as offer the ability to automate operations across the entire distributed security infrastructure by applying a single, centralized set of routines that consistently apply to the various infrastructures. This includes being able to easily and dynamically define security policies, segment critical systems, workloads, and applications based on unique risk profiles, track those policies to support complex, multi-cloud workflows and applications, and ultimately, use them to investigate security events. Any suite of threat detection, prevention, and mitigation tools selected for an enterprise IT infrastructure need to seamlessly share security control information, as well as work together to address threats regardless of where they occur. This requires that they not only work together locally, but across all of the major public cloud infrastructures—and, that they can do so while natively leveraging the respective cloud services offered by each. Such cross-functional integration is essential if organizations expect to improve risk mitigation across multi-cloud distributed infrastructures. Securing today's complex and continually shifting IT infrastructures requires a meshed security framework that allows all security functions to communicate, collaborate, and coordinate between themselves using common semantics and syntax regardless of where they are deployed, as well as offering a framework that supports the automation of each and every security operation. This approach not only enables end-to-end-visibility, but it also empowers end-to-end policy enforcement, creating a fabric-based strategy that spans and adapts to the entire distributed network. Such a fully integrated system allows security staff to gain the necessary level of visibility and control required to consistently manage and prioritize security operations, and to initiate a coordinated response that can leverage all related security resources—no matter where an attack occurs—to not only stop current malicious activities but to also find and mitigate their impact on the rest of the network. Cloud computing and digital transformation have changed the paradigm for security professionals. Networks with well-defined perimeters where protection is focused primarily on preventing threats pounding at the firewall door is not sufficient. Cloud security solutions today must address the unique requirements of each cloud computing infrastructure, whether public, private, or hybrid—including new and increasingly complex multi-cloud environments—as well as weave them together into a single, integrated security framework. Only this approach will help organizations shift from a practice where security inhibits innovation to one where security done right enhances the confidence in the accelerated adoption of cloud computing. Read our guide to learn more about how to support digital transformation efforts and how to take the complexity out of security with integration and automation across multi-cloud environments. Manage risk easily and effectively, while gaining visibility. Read more about how Fortinet is helping organizations secure the Third Generation of Security.